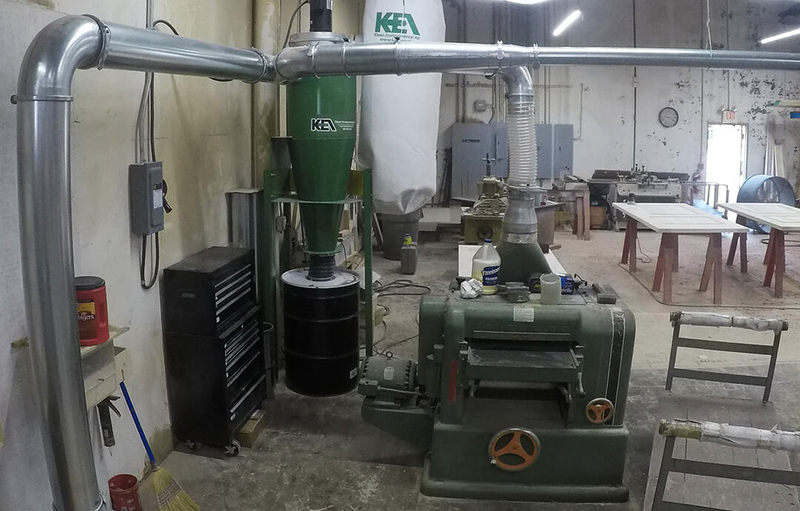 KEA Drum Mounted Dust Collectors effectively fight air pollution in the shop and plant by removing dust at its source. They also reduce health hazards and plant maintenance while increasing machine life and employee productivity. 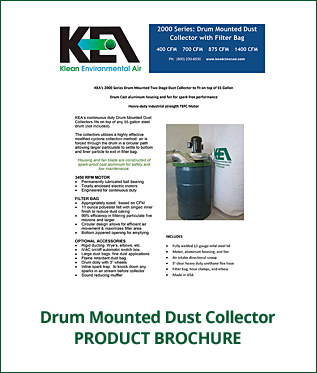 KEA Drum Mounted Dust Collectors feature cast aluminum housing and fan for spark free performance and a heavy-duty motor for industrial strength. Drum Collectors include easy-to-empty dust bags, flex hose and hose clamps. 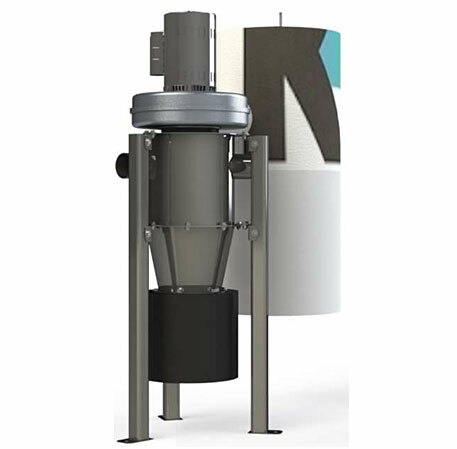 Drum Mounted Dust collector units include an industrial heavy-duty motor, spark proof cast aluminum housing and fan wheel. The standard unit is provided with a steel drum lid which fits a 55 gal drum. 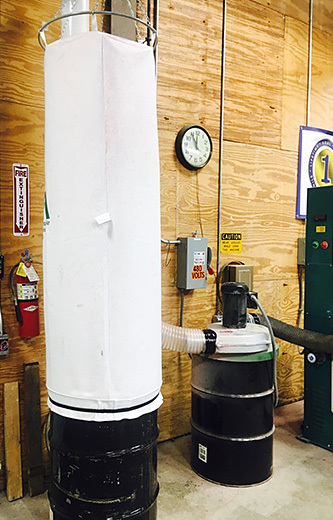 Also included with the unit are the intake cylinder, air directional scoop, a 5′ length of flex hose, 2 clamps, an elbow, a polyester dust bag with an easy to empty zipper bottom and 1 bag elbow. Size of hose, bag and clamps depend on unit – see specification chart on page 2 of the product brochure. 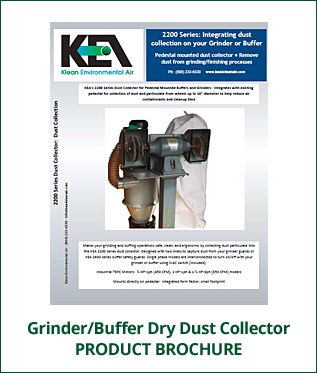 Makes your grinding and buffing operations safe, clean, and ergonomic by collecting dust particulate into the KEA 2200 Series dust collector. 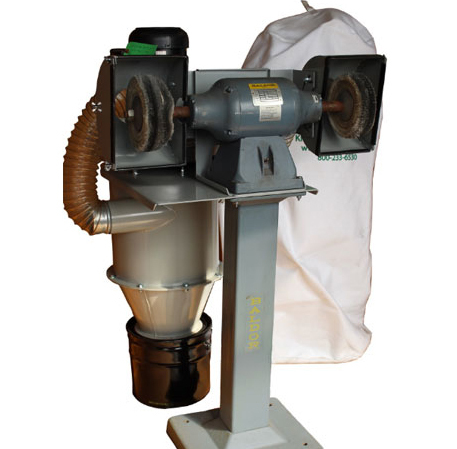 Designed with two inlets to capture dust from your grinder guards or KEA 2600 Series buffer safety guards. 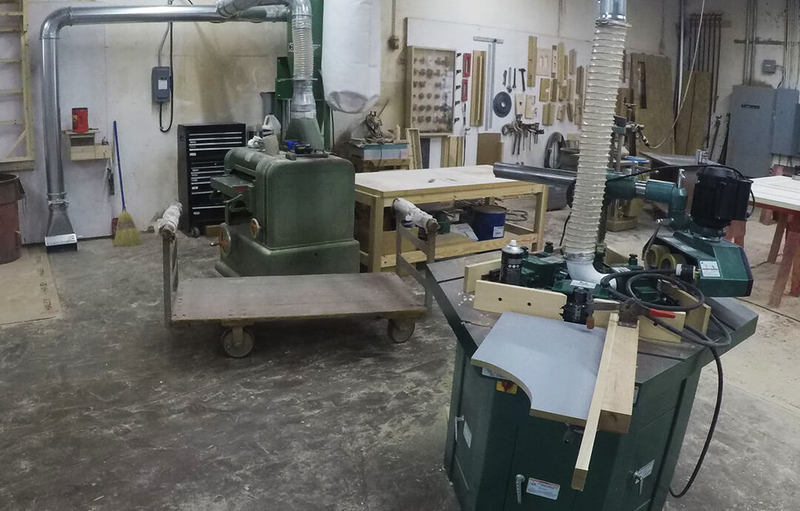 Single phase models are interconnected to turn on/off with your grinder or buffer using iVAC switch (included). 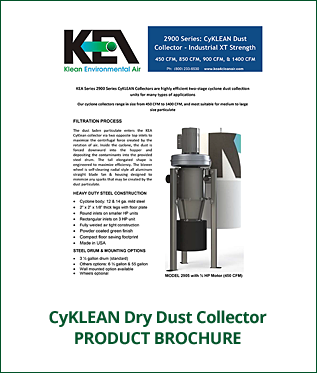 KEA Series 2900 Series CyKLEAN Collectors are highly efficient two-stage cyclone dust collection units for many types of applications Our cyclone collectors range in size from 450 CFM to 1400 CFM, and most suitable for medium to large size particulate. 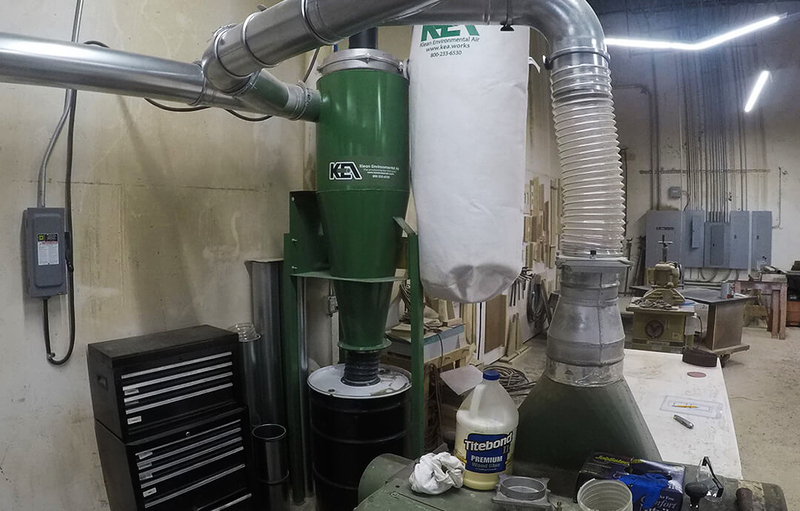 The dust laden particulate enters the KEA CyKlean collector via two opposite top inlets to maximize the centrifugal force created by the rotation of air. 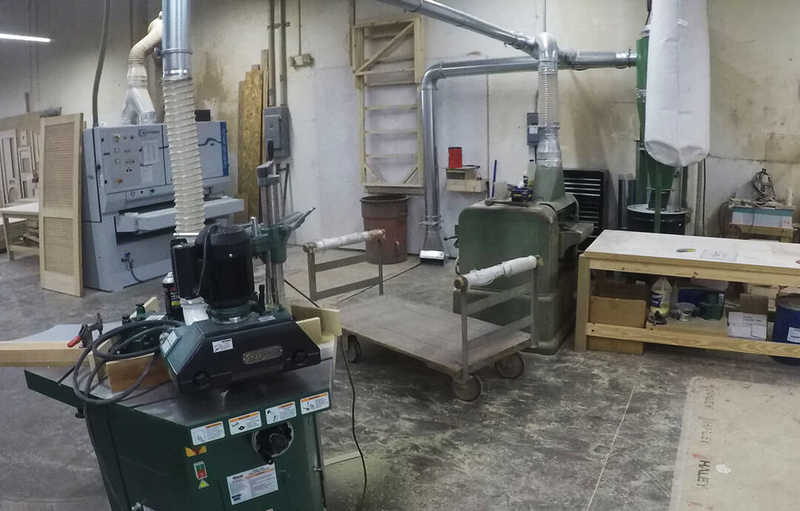 Inside the cyclone, the dust is forced downward into the hopper and depositing the contaminants into the provided steel drum. The tall elongated shape is engineered to maximize efficiency. 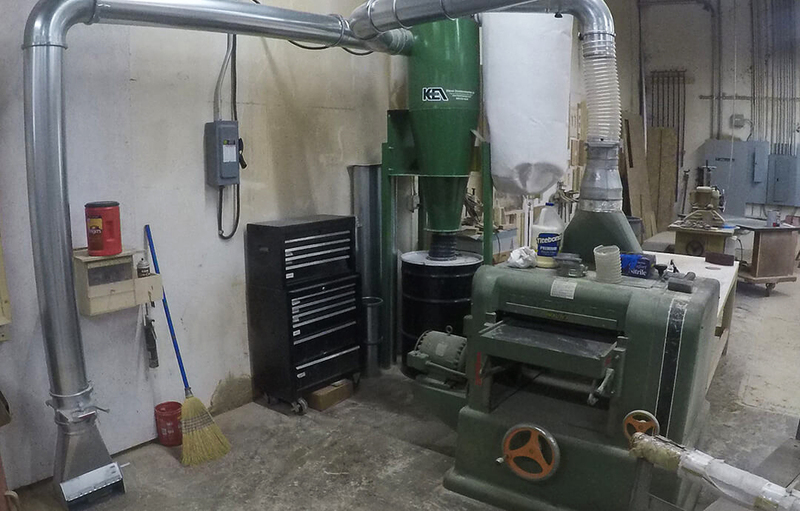 The blower wheel is self-cleaning radial style all aluminum straight blade fan & housing designed to minimize any sparks that may be created by the dust particulate. 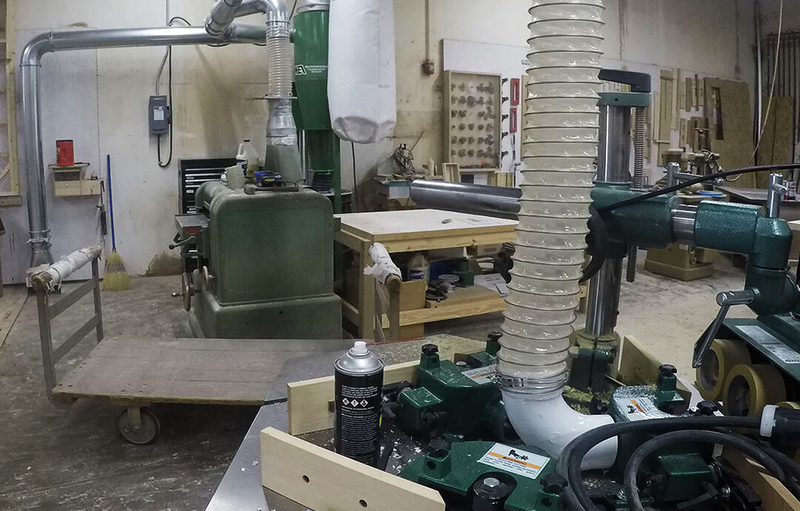 Applications include woodworking, milling, sanding & finishing, metal chips, abrasive cutting de-burring, robotic & other cnc machines.